The 9th Arrondissement of Paris extends from Palais Garnier in the south to the foot of Montmartre in the north. 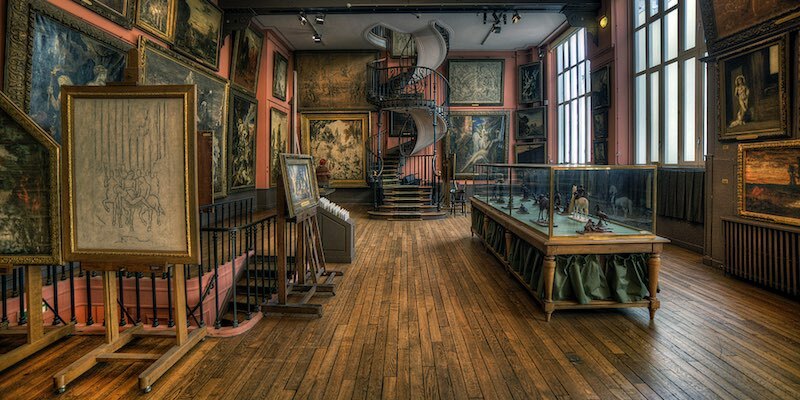 In between are a handful of good museums and some of the most concentrated shopping in Paris. 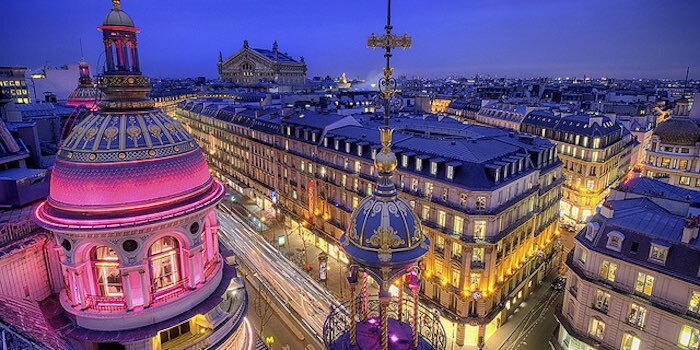 Opera, as the 9th is sometimes called, is known for the grand magasins, the 19th-century Opera Garnier, and the Grands Boulevards. 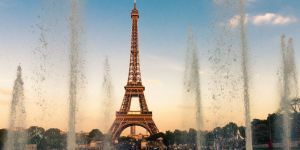 The 9th Arrondissement in Paris was developed during the Belle Epoque era of the early 1900s when the Paris bourgeois class was burgeoning. 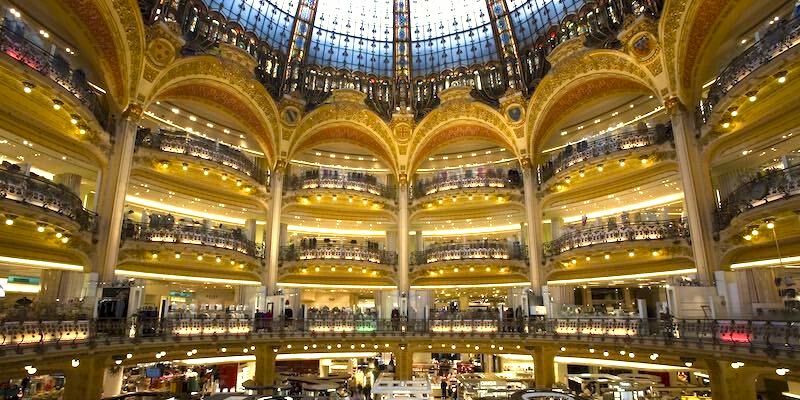 It's one of the busiest of the Paris arrondissements, with the Belle Epoque department stores Galeries Lafayette and Printemps drawing shoppers from all over the city. The 19th-century redevelopment work of Baron Haussmann is evident in the 9th, and it was perhaps the most affected of the Paris arrondissements. 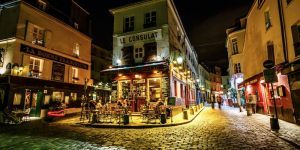 The wide, straight boulevards and streets are the legacy of Haussmann — Boulevard des Capucines, Boulevard Montmartre, Rue de Clichy, and Boulevard Haussmann itself are just a few. 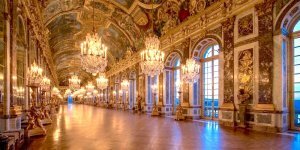 Not-to-miss sights in the 9th include Palais Garnier (of course), the Musée de la Vie Romantique, the interiors of the Grands Magasins, and the confectionary À la Mère de Famille. You absolutely do not want to miss this grand Beaux Arts building. 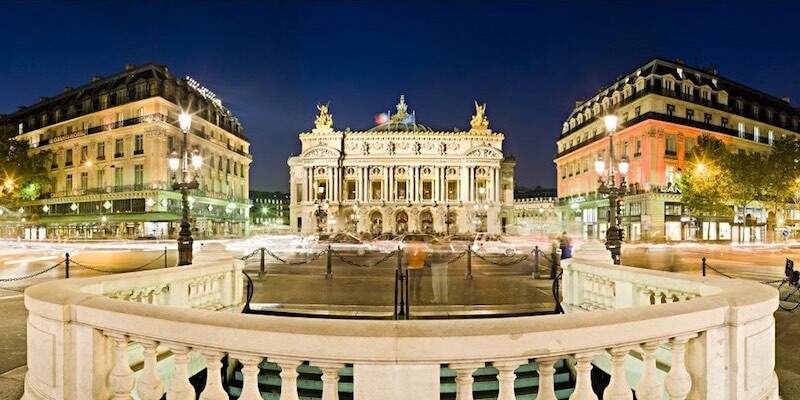 Built on the command of Napoleon III during the reconstruction of Paris, the stunning Opera Garnier sits majestically on the place that bears its name. 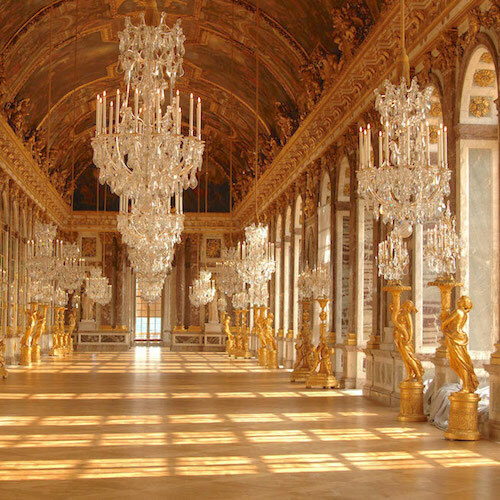 (The names Opera Garnier and Palais Garnier are interchangeable.) Entrance for a self-guided visit costs only about €10. 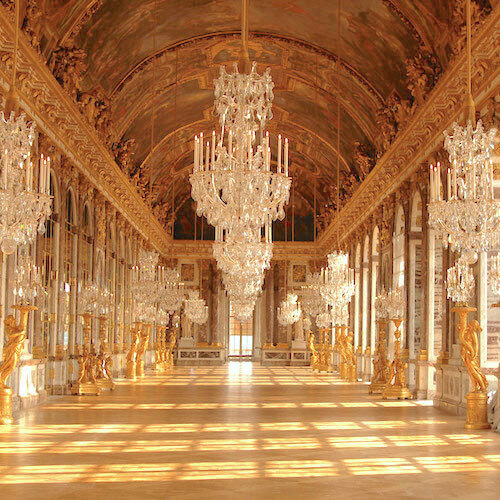 Once you visit this grand palais you'll be dying to see a performance there. 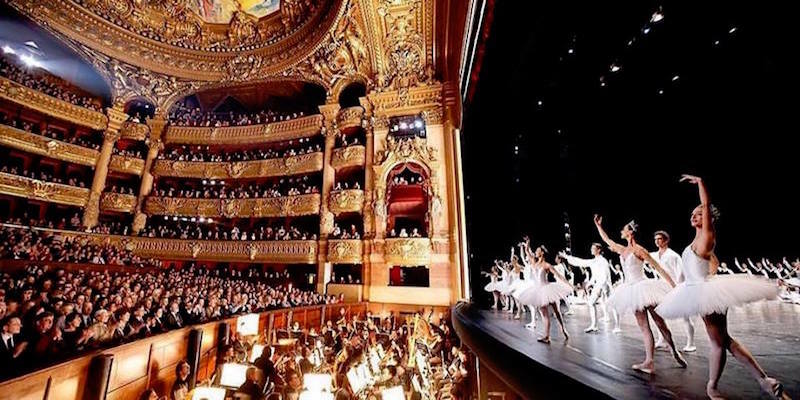 Opera Garnier hosts both the Paris Opera Ballet Company as well as light opera and other performances. The easiest way to get tickets is online. Attending a performance will make your visit to the City of Culture even more memorable. "Impasse", the French word for "dead end street", is much the better term, isn't it? It seems to hint at mystery and hidden treasures. And that's what you find at the end of Impasse Sandrie, just across the street from Palais Garnier to the west. 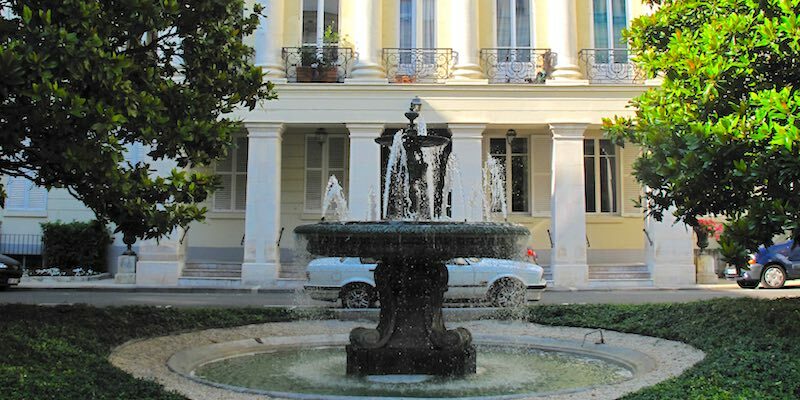 For there you can visit Square l'Opera-Louis Jouvet, where an equestrian statue dominates its center. But this is an equestrian statue with a difference. 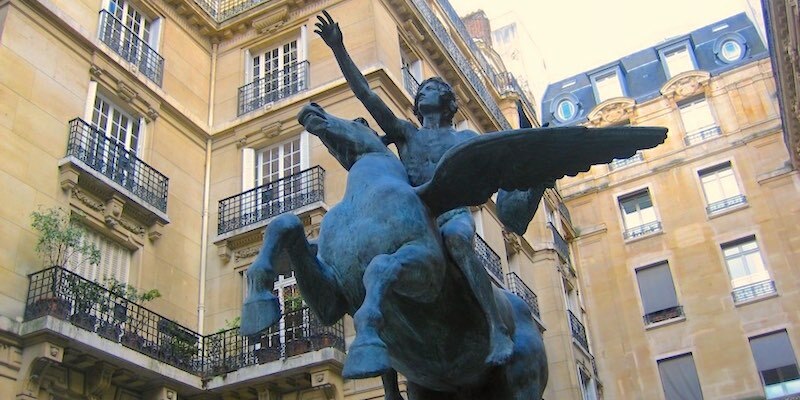 Titled Pégase Emportant le Poète Vers les Régions du Rêve (roughly, "Pegasus Carrying the Poet to Dreamland"), it depicts the legendary winged horse carrying none other than a young Victor Hugo on its back. Hugo, you may recall, is one of the best-loved writers in French history. (Les Misérables and The Hunchback of Notre-Dame.) The statue is by prolific 19th-century French sculptor Alexandre Falguière, who died in 1900. By the way, on the impasse you'll also find the lovely Italianate building that houses Théâtre de l'Athénée, built in the 1890s. It's here that Oscar Wilde's play, Salomé (he wrote it in French) premiered in 1896, while Wilde was still in prison at Reading Jail. It makes sense that at a museum with the Fragonard name you can discover the history of French perfume. The Fragonard company is still based in Grasse, on the Côte d'Azur, where many of the fragrant plants are grown in the warm Provençal climate, but the museum is here in Paris, located at the end of the pedestrian Impasse Sandrie. Entrance is free. In the years leading up to the French Revolution, Louis XVI appointed Jacques Necker, a Swiss Financier, to control the finances of the kingdom. Necker purchased a parcel of land in the Rue de la Chaussée-d'Antin quartier, an area favored by the wealthy. 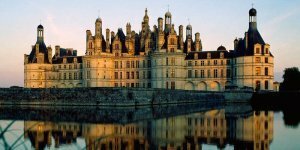 There, in 1776, he built an impressive hôtel particulier, a grand private house. The hôtel reminds us of a boat, with a prow at each end. Today it's found on a triangle of land bordered by Rue Meyerbeer, Rue Halévy, and Rue de la Chaussée-d'Antin, directly east of Palais Garnier. 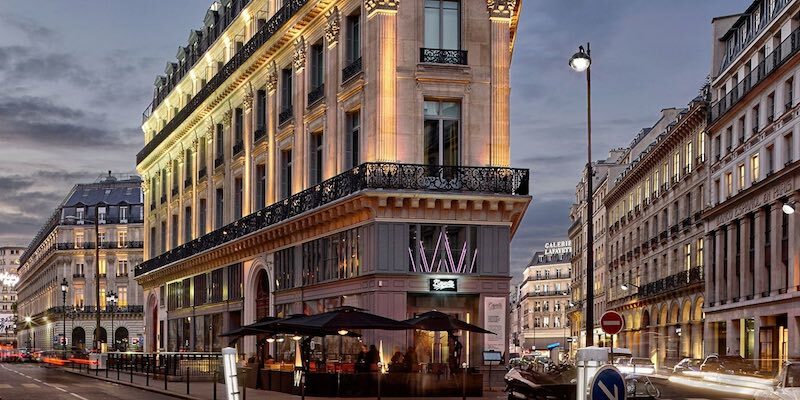 No longer a private mansion, of course, it's now home to the W Hotel Paris and the Apple Store Paris Opéra, with some other smaller retail on the ground floor. It's sort of a disappointing commercial use of the historic space, but some of the grandest salons are open to the public. It's 1793. Revolution. Mobs. Reign of Terror. Swimming Pools. Movie Stars. 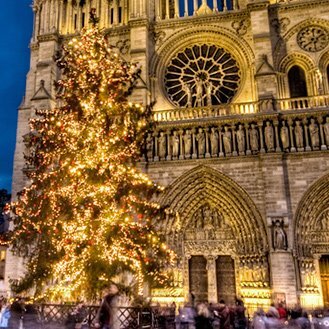 An anti-monarchist gang heads to Notre Dame. 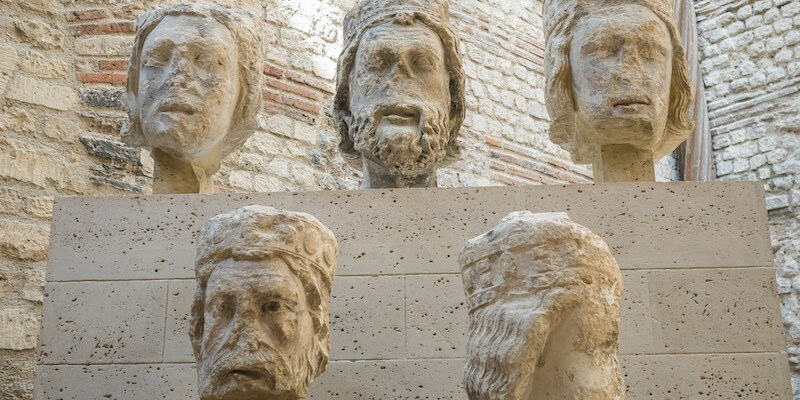 They hate French kings and they want to destroy the statues of the kings found on the facade of the cathedral. What they don't know is that these sculptures are of the kings of Judea, dating back to 1220. No matter, the mob tears them down, cuts off their heads, and tosses them into the Seine. We think. It's 1799. A cabal of army officers and other notables meet at Hôtel Moreau on Rue de la Chaussée-d'Antin (right across the street from Hôtel Necker) where they plan to overthrow the Directory (the group currently ruling revolutionary France) and replace it with three Consuls, one of whom is Napoleon Bonaparte. They succeed in a bloodless coup, and the French Revolution is effectively over. It's 1977. Same hôtel, but now it's a French bank at 20 Rue de la Chaussée-d'Antin. Workmen digging in the courtyard of the bank uncover a trench containing the heads, bodies, and 300 other pieces of the statues of the kings of Judea. The pieces of sculpture had been carefully, almost lovingly, placed in the trench, with the heads turned to point to towards Notre Dame, and the spaces filled in with non-destructive plaster. We've probably over dramatized the events a bit. The statues were most likely pulled down following a decree of the Directory calling for the removal of all signs of monarchy, and the deed performed by a contractor. But, it's an interesting twist that the destroyed statues, damaged by order of the Revolution, were found buried in the house where the end of the Revolution was engineered. Today the statues can be seen in Paris at the Cluny Museum, Musée National du Moyen Âge. On the corner of Rue de la Chaussée-d'Antin and Boulevard des Capucines, on the border between the 9th and the 2nd, is this movie theatre. However, from 1866, when it was built, until 1927 this building was home to the Théâtre du Vaudeville. The théâtre was located in a number of buildings beginning back in 1792 and ended up here in the 9th. An interesting tidbit is that in 1852 Verdi was at the théâtre to see a performance of the Alexandre Dumas (of Three Musketeers fame) play, The Lady of the Camellias. Verdi went home and wrote the opera La Traviata, based on that play. 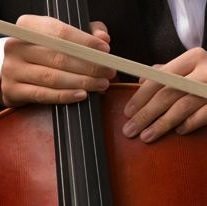 The rest, as they say, is opera. By the way, in the photo from 1868 above you can spot the prow shape of Hotel Necker off to the right. This may well be Paris' first sweets shop. 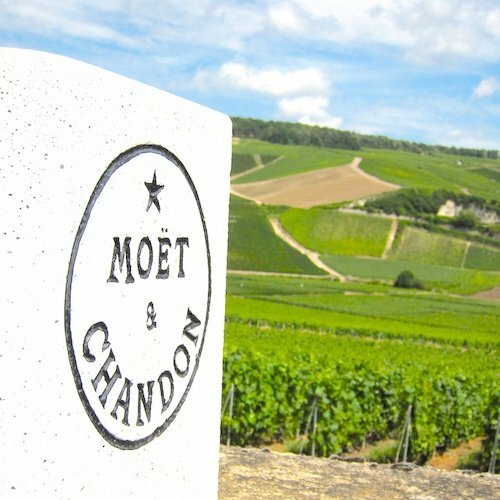 These days there are eleven locations in Paris, but right here in the 9th is the original one. 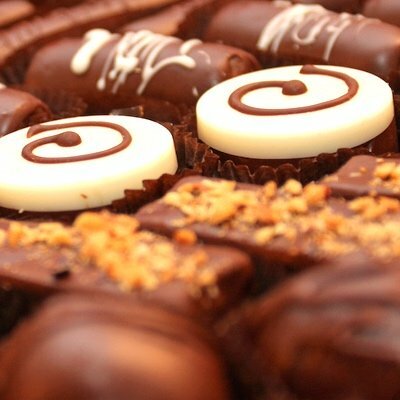 The place is filled with over 1,000 varieties of chocolates and sweets, many displayed in cases that date back a century or more. 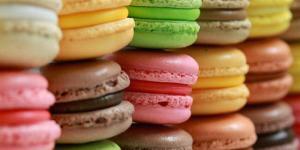 In French baking, there is a special category called patisserie sec, which refers to cookies, pound cakes, tuiles, Palmiers, meringues and macaroons. This is the world of À la Mère de Famille, part chocolatier, part patisserie sec, part candy maker. 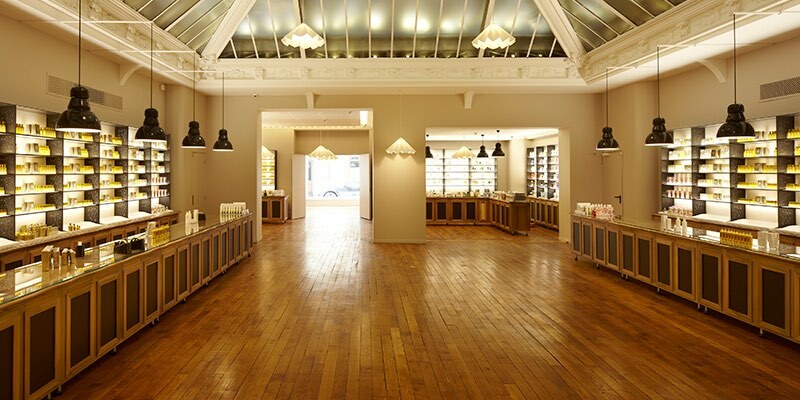 In their 250-year-old location in the 9th Arrondissement they've created an adult version of a kid's candy store. Chocolates, caramels, marshmallow, nougat, and almond calisson line antique wooden shelves. The floor has heaved over the centuries, so now the entire port side of the store sinks towards les grand magasins. 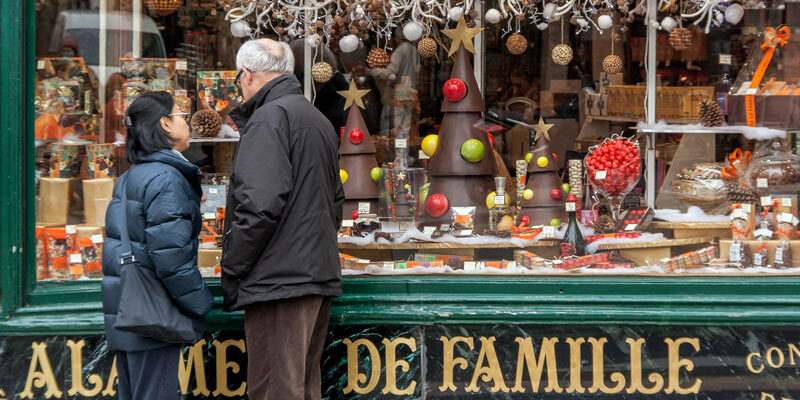 Since 1761, À la Mère de Famille has only sold confiseries — a French goodie store with a lot more than bon bons. Looking for souvenirs? Go directly to the 6th floor for the biggest collection. Of course, there's lots more serious shopping as well. The Galeries Lafayette complex pretty much takes up an entire block. In addition, there's a completely separate building across the street that houses Galeries Lafayette Maison, the giant home and food floor departments. 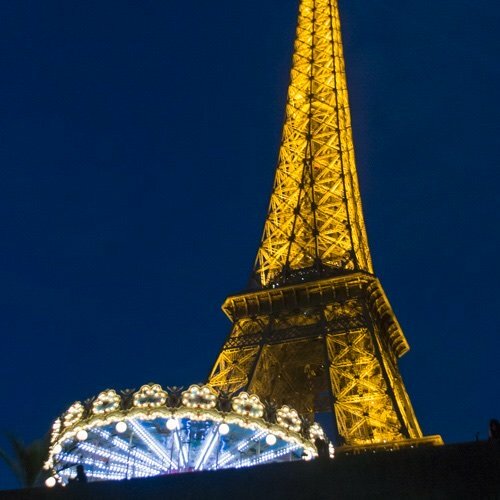 Present your Paris Pass and receive a free gift plus a 10% discount. What have we shopped for here? Clothing, lots of food, Porsche Design chef knives, bed linens, bath towels, champagne by the glass, even Versaces dinnerware. In 1865, a visionary entrepreneur built a store that sold everything. Printemps was born. 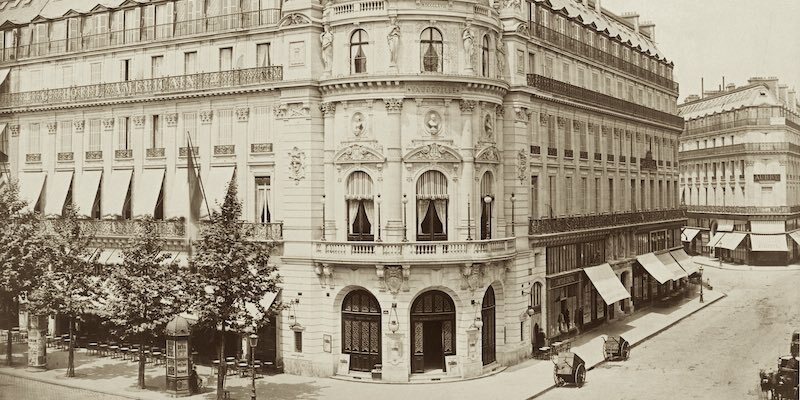 It was the first store in Paris to have electricity, to have elevators, and to have fixed prices — no more customer haggling. The Art Nouveau interior is spectacular. We like Printemps for women's clothing & scarves, and for the crowds during the crazy-busy annual sales. Also for the views from its rooftop terrace, as in the photo. Who hasn't played at the famous Olympia music hall? Raise your hands, please. Okay, well maybe you haven't played here, but everyone else has. Jacques Brel, Edith Piaf, Yves Montand, Josephine Baker, and Johnny Hallyday. 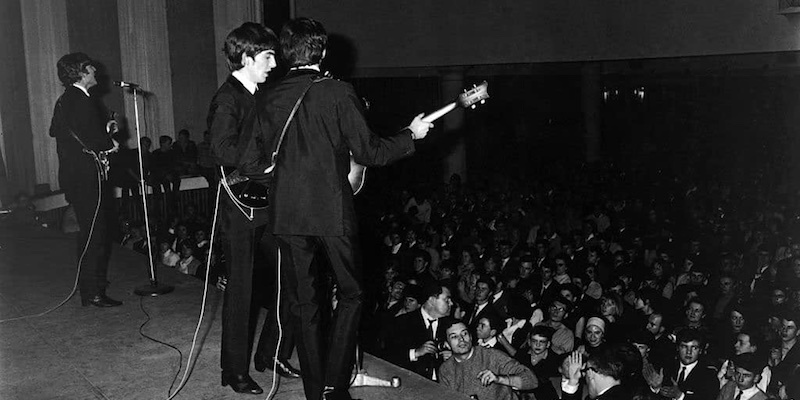 A British combo called The Beatles (the boys were playing the Olympia when they learned that I Want to Hold Your Hand had reached #1 in the US). The Rolling Stones, Tina Turner, Madonna, Ray Charles, and everyone else from the 60s and 70s. This list goes on and includes even The Jackson 5, Jimi Hendrix, and Liza Minnelli — though not on the same bill. It was created in 1888 by the founders of Moulin Rouge and in the early years it played host to everything from music concerts to vaudeville to circuses to theatre. In the years between the wars it converted to a movie house, but was revived in 1954 as a music hall by the great Bruno Coquatrix. You have to at least get your picture taken in front of Olympia, but the shows go on. Tony Bennett, Buddy Guy, and Diana Krall are next in line as we write this. Heck, we even hope to get booked there someday. You could think of Folies Bergère as the Olympia of an earlier era — from the 1880s to the 1930s. 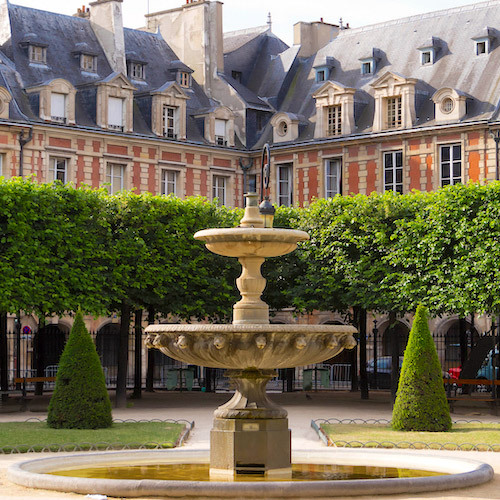 Opened in 1869, when Manet and the Impressionists were splashing paint about, Rue Richer and the 9th Arrondissement were the hot spots in Paris. 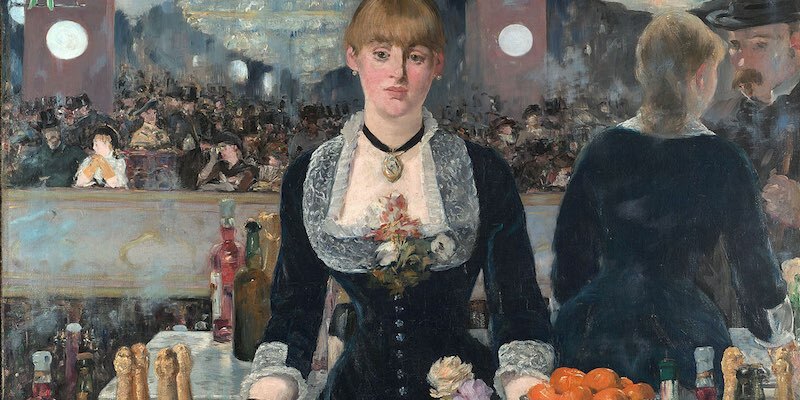 One of Manet's most famous paintings was set here, A Bar at the Folies-Bergère. You could have seen Maurice Chevalier and Yves Montand and Josephine Baker here. Here's a good trivia question: Where & when did Charlie Chaplin, WC Fields, and Stan Laurel appear in the same act onstage? You already know the where, the when is 1911. These days the theatre is showing its age, but it's a pleasant reminder of the glory days of yesteryear. Musical shows are still staged here along with the occasional special events including, in one recent year, the presentation ceremony for the annual Gourmand World Cookbook Award, where (if we can add, immodestly) ours was the top North American book in the French Culinary category — How to Cook Bouillabaisse in 37 Easy Steps: Culinary Adventures in Paris and Provence. Envelope, please. Boulevard Haussmann runs east-west through the 9th Arrondissement sort of behind Palais Garnier. 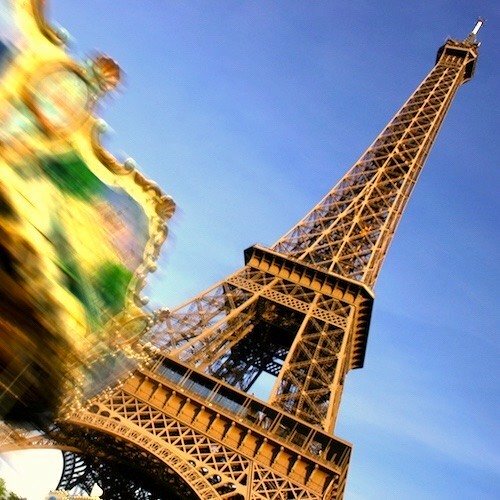 Named after the engineer who redesigned Paris in the 19th century, today it's a mecca for shopping, and it's always busy. We've already mentioned the two grand magasins — the big department stores Printemps and Galeries Lafayette — as well as the nearby Apple Store. But you'll also find a lot of big-brand style stores in this area. Some of them are what you find anywhere, but there are others you may not have back home. We like shopping at the Japanese brand UNIGLO where we pick up down vests, jeans, and shirts. Galeries Lafayette Homme (for men) doesn't excite us as much, since you find the same old brands. (But we do like to stop by their Gucci boutique across the street to the east.) There's a good Zara nearby along with Mango, C&A, Celine, and Massimo Dutti just around the corner. We usually give a pass to the Gap (same old, same old) but like to drop into the large Sephora, sort of kitty-corner to Galeries Lafayette easternmost building. If you have time, wander the streets behind the grand magasins (to the north) where you can explore the smaller shops found there, including clothing stores like Phildar and Monki. This hidden square was built in the 1830s, in the period known as the July Monarchy when once again there was a French king on the throne, Louis Philippe I (1830 to 1848). 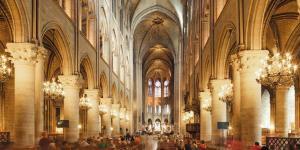 It was an era of a re-flourishing of arts, writing, and music, and this area of Paris was dubbed La Nouvelle Athènes. 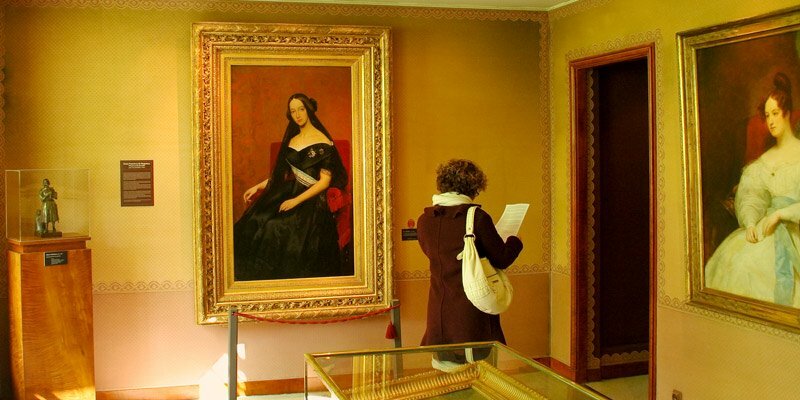 The square was home to dozens of apartments and artist studios and is said to have been the haunt of such notables as Chopin, Alexandre Dumas, the ballerina Marie Taglioni, and George Sand, although we've only seen an historical plaque that mentions George Sand. The square is not visible from the street, but you can usually enter off of Rue Taitbout (unless the doors are closed). At the Grevin you can see over 300 wax figures including Ghandi and Brad Pitt (together at last) as well as recreations of major events in French history. You'll also learn how waxworks are made. It's a bit kitchy and a bit touristy, but fun all the same. Gustave Moreau may not be a name you're greatly familiar with, but you probably do know that he was a French painter, and certainly know his most famous student, Henri Matisse. We found it fascinating to see Moreau's perfectly preserved 19th-century home, scattered with his works of art. While you're there, don't miss the magnificent spiral staircase. 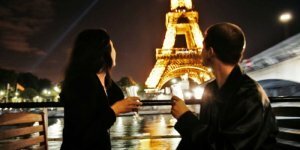 Oh, yeah, free entrance with the Paris Insiders Pass. This is another museum geared to visitors. 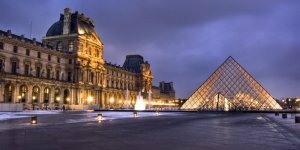 A bit touristy perhaps, but a unique museum that takes you on a 3D interactive journey through the history of Paris — prehistoric settlements, Middle Ages, revolutions, and wars. You also get to see a Paris miniature world. 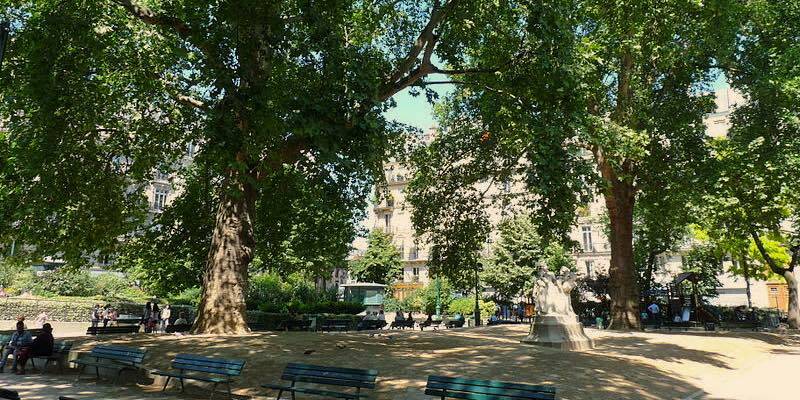 Just another leafy park in the middle of a Paris neighborhood, with a playground, benches, and plane trees. 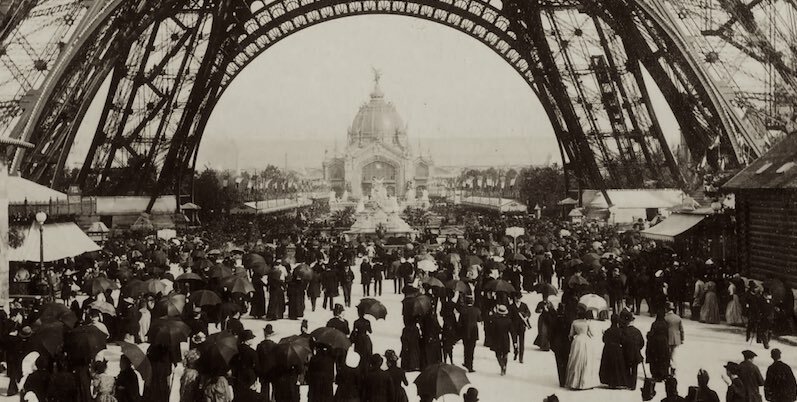 But this was one of the parks built under the direction of Haussmann during the rebuilding of Paris in the mid-19th century, and one of twenty-four parks he entrusted to city planner Jean Charles Adolphe Alphand to design and build. As such, is a typical and pleasant example of small parks you find scattered throughout Paris. Another twist to this park is that it was once the garden of the hôtel of Charles-Henri Sanson, the official Executioner of France under the doomed Louis XVI and also during the French Revolution. He was part of six generations of executioners and personally guillotined 3,000 people, including Louis XVI himself. Sanson was buried in Montmartre Cemetery after dying of natural causes in 1806. "Great hotel in good location", as a visitor put it. 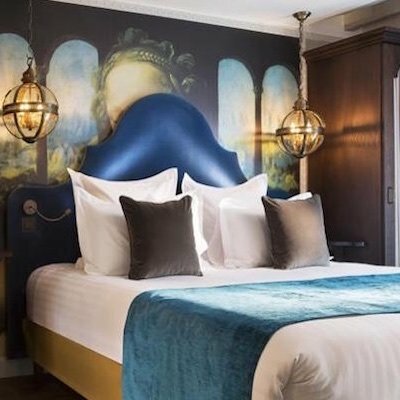 Close to shopping, the theater and Palais Garnier, each of the 72 suites are decorated to reflect the historical heritage of this landmark building. Travelers rave about the large rooms. This is a surprising hotel find. Off of Rue Bergère, a one-way street in a residential section of the 9th, there's a narrow, private road called Cité Rougemont. And it's down this impasse that you'll find Adèle & Jules. 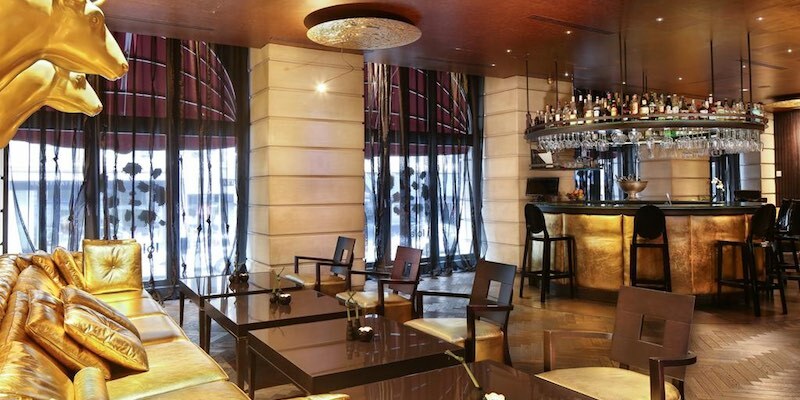 It's a classic modern hotel, where everything is both perfectly designed and brand new. Visitors are starting to rave about it, so book a room now while you still can. 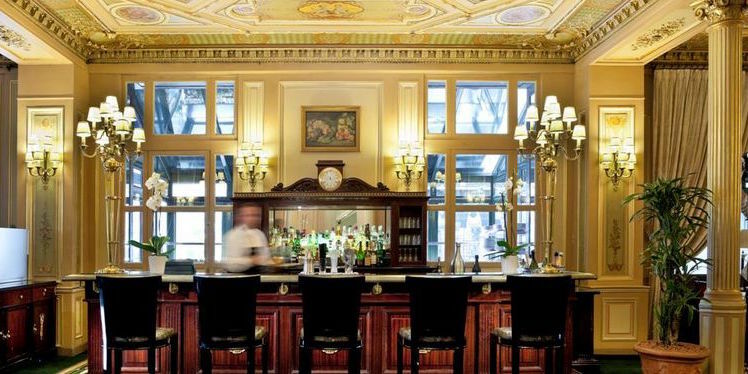 Set in a hundred-year-old former bank building (you probably guessed that), the interior decoration combines glamour, sophistication, comfort and luxury. 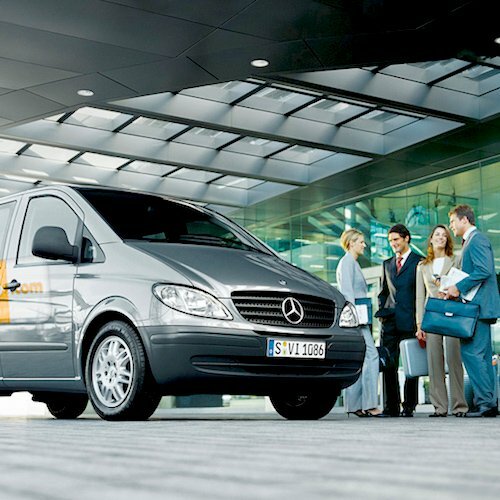 Many designer touches: Swarovski crystal accents, large wardrobes and Philippe Starck objets. 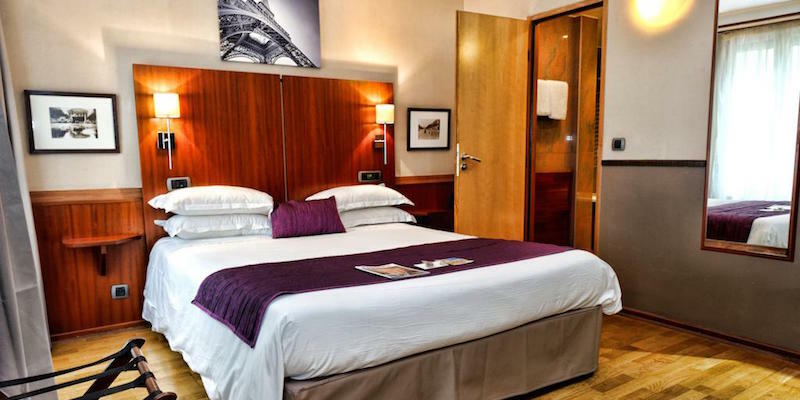 This simple, clean, modern hotel is highly rated by guests and rated Superb by us. 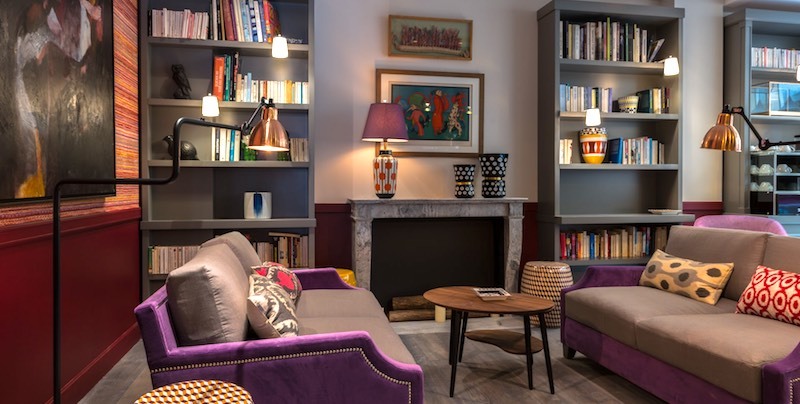 Close to Galeries Lafayette and Printemps, this 19th-century hotel delivers quiet, comfortable rooms. You're close to everything, including the Metro. And, of course, given the hotel name, you're right next to Square d'Orléans. We've been known to eat at La Régalade Conservatoire when we're in the 9th. It's sort of modernish, hipish, but with classic French cuisine sensibility. The 9th is well served by Metro lines — Metro Opéra comes up right in front of Palais Garnier and it's where you can catch Lines 3, 7, and 8. Metro Opera shown above. Metro Chaussée d'Antin La Fayette is on Line 7, but also on Line 9 that runs along Boulevard Haussmann. 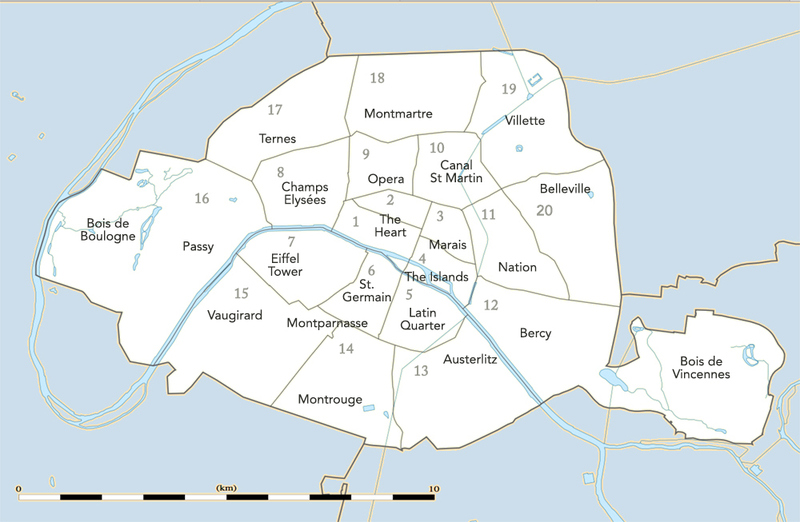 Line 12 jogs through the 9th Arrondissement, running more or less north to south from Concorde to Montmartre. RER A stops Auber, next to the Palais Garnier, on its way through Paris, east to west.